NMC presents the new decoration trends for 2018. Discover all our novelties: from the skirtings and cover skirtings, which are now available in various RAL colours, to the new 3D Wall Panel ARSTYL® Wall Panels FLOWER and the new decorative mouldings for indirect lighting. NMC expands the extensive skirtings range. They will henceforth be available in numerous RAL colours. A convincing product for all friends of design who would like discreet colour accents in an interior. 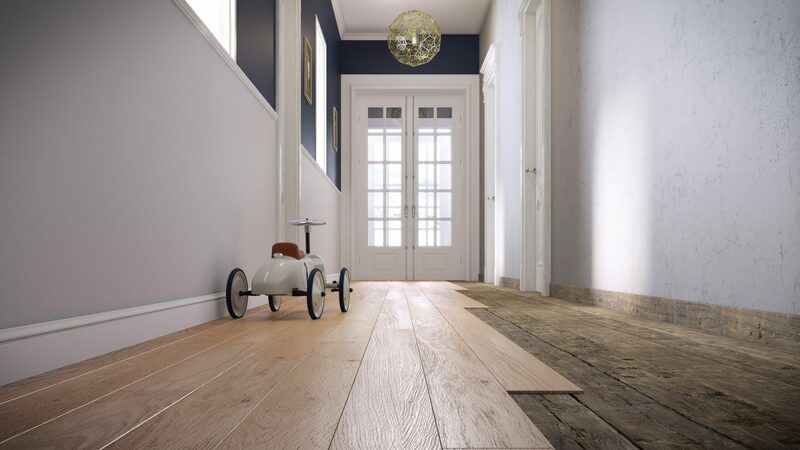 NMC expands the skirtings collection with two decorative cover skirtings: WALLSTYL® CF2 and CF3. 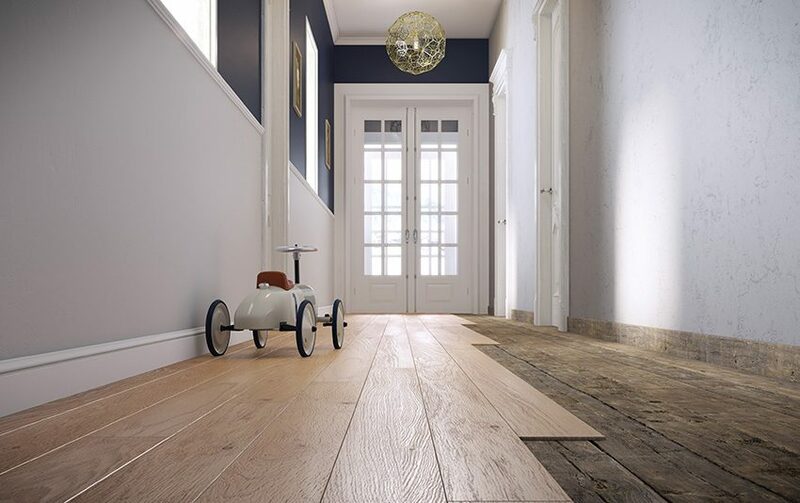 Say goodbye to damaged walls: easy and quick to install, they also perfectly conceal existing skirtings thanks to their optimal height of 10 cm. An ideal solution for low-cost renovation. NMC expands the wall decoration collection with the three-dimensional ARSTYL® Wall Panels FLOWER, which is distinguished from all other panels through the graphic design of the floral pattern. Thanks to the harmonic design, the model FLOWER is an impressive addition to the existing collection and a convincing creative design solution. 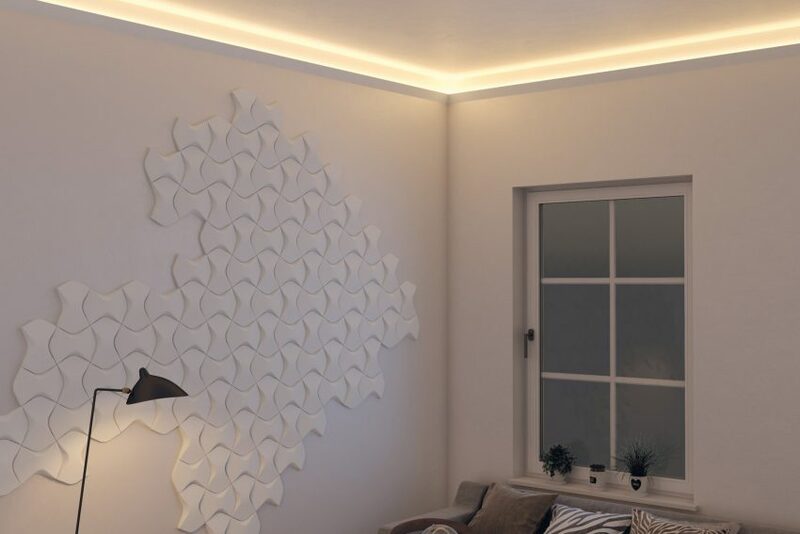 NMC expands the indirect lighting range with two modern, straight opaque profiles, WALLSTYL® IL3 and IL4. 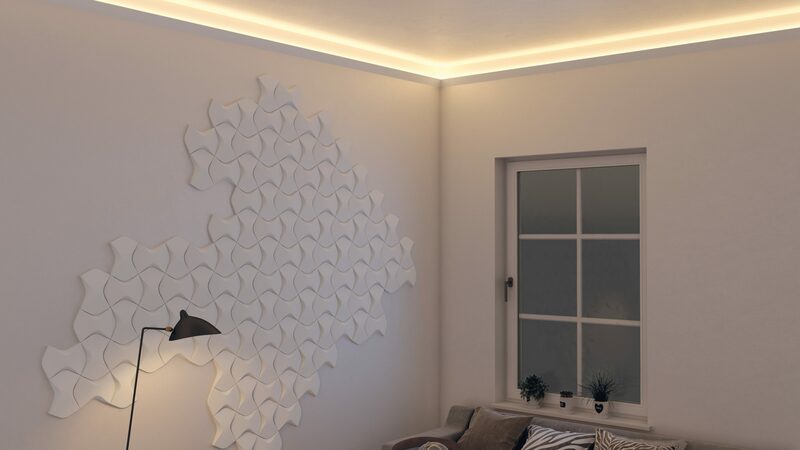 They provide sufficient room for energy-saving LED stripes and can be easily combined with existing profiles.